Environmental Health & Safety, Inc. 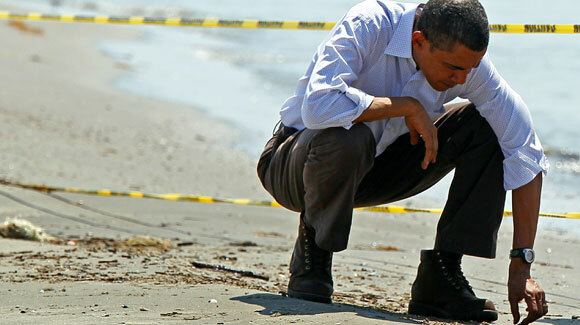 When President Obama visited the Gulf for the second time, workers picking up and disposing little oil balls on the Lousiana beach were employed by Environmental Health & Safety, Inc. (EH&SInc). EH&S Inc is a small, minority-owned (Hispanic) business (SBA certified 8a and SDB) specializing in environmental, safety and health, and training services. EH&S Inc has grown from one employee in 1997 to over 65 multi-disciplinary professionals today. ES&H, Inc. has a decade of disaster response experience. ES&H, Inc. offers a proven management plan and a disaster response team with years of experience and knowledge. 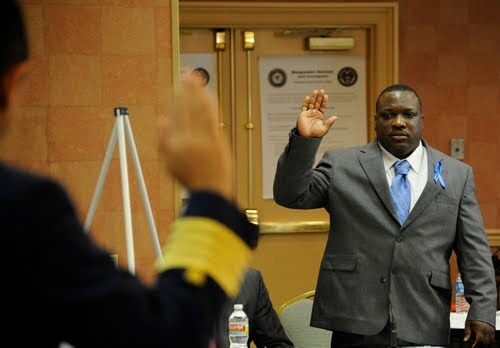 Their experience includes involvement in response efforts following some of the nation’s largest disasters, such as Hurricane Katrina (still working), Hurricane Rita, Hurricane Wilma, Hurricane Fran, Hurricane Ivan, Hurricane Frances, Hurricane Charley, and the World Trade Center terrorist attack on September 11, 2001. EH&S Inc is headquartered in Knoxville, Tennessee and has offices in Oak Ridge, Tennessee, Metarie, Louisiana and at Dover AFB, Delaware. 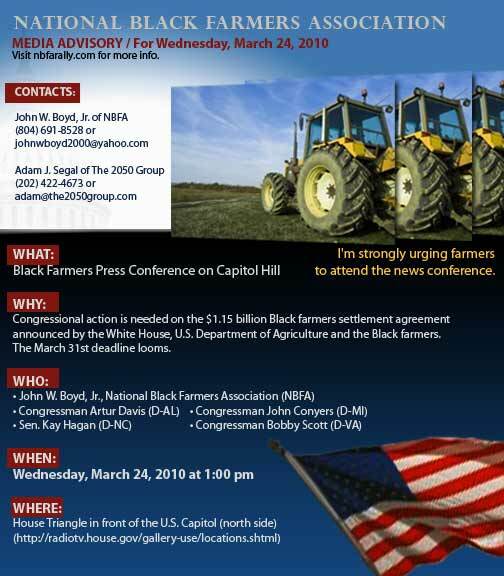 The U.S. House of Representatives approved $1.15 billion on Friday to compensate black farmers for discrimination by the Agriculture Department in a major civil rights settlement. The settlement in the case known as Pigford II granted $1.25 billion to black farmers who are part of a decades-old discrimination suit against the Agriculture Department after years of being left out of federal farm loan and assistance programs due to racism. But the deal reached in February cannot be upheld unless Congress approves $1.15 billion for the settlement. The 2008 farm law earmarked $100 million for compensation. Contrary to prior testimony from other rig leaders and BP's drilling engineer that tests gave no reason for concern and conditions were safe for the Deepwater Horizon to displace heavy drilling mud the evening of April 20, the rig's subsea supervisor testified Friday that workers were confused by some test results that showed possible leaks in the well. Christopher Pleasant, the man in charge of the blowout preventer and other well systems on the sea floor, said he was part of lengthy discussions about fluid losses during a negative pressure test about four hours before the accident. In a negative pressure test, the well head is shut off using annular valves in the massive blowout preventer device on the sea floor, and workers measure whether pressure causes any mud to come up to the rig from the marine riser that runs down to the well. Pleasant said when he began his shift that day, he went to the drill floor and found a tool-pusher, one of the main drilling crew, discussing results of the negative pressure test with BP's top official on the rig. He said the tool-pusher was concerned that barrels of mud had leaked out during the pressure test. The workers disagreed about where the mud had been lost. George W. Schmidt II of Schmidt Law Firm, has filed a putative class action lawsuit in the State of Mississippi against BP p.l.c. and 15 other drilling defendant entities involved in the Deepwater Horizon oil spill that occurred in the Gulf of Mexico on Tuesday, April 20, 2010. The lawsuit was filed in association with co-counsel firm Motley Rice LLC on behalf of putative class representatives Kimberly and Do Nguyen, individually and on behalf of others along the Mississippi coast who have sustained and continue to sustain damages to their businesses and livelihoods as a result of the oil spill. According to the plaintiffs’ claim, collective faults and failures on the part of all of the drilling defendants have resulted in significant and devastating financial loss due to the effects of the oil spill on the Gulf of Mexico’s and Mississippi’s marine and coastal environments, natural resources, estuarine areas and commercial fisheries. Filed in the United States District Court for the Southern District of Mississippi on Wednesday, May 26, 2010, the lawsuit seeks to compensate the Nguyens, and others similarly situated, for the financial losses, increased costs of doing business and other burdens that they have suffered through their sole business since the onset of the oil spill. Kimberly and Do Nguyen are Ocean Springs, MS, residents who operate a shrimp retail business known as The Shrimp Guy and depend upon shrimp obtained from the Gulf of Mexico. Because of the oil spill damage, they have been denied access to local shrimp, the foundation of their business, and have experienced a marked decrease in sales and profits while trying to locate adequate replacement shrimp. The lawsuit also covers additional Mississippi businesses that retail and wholesale seafood obtained by commercial fisherman from the affected waters. The plaintiffs and putative class members represented in the lawsuit claim that each of the named defendants are liable in whole or in part for contributing to or causing the oil spill due to cost-cutting practices, failure to adhere to proper rules, regulations, and guidelines, as well as business practices that were negligent, grossly negligent, willful or wanton. As a direct result of the oil spill and the defendants’ failure to immediately stop the spill, the plaintiffs allege they have suffered and will continue to suffer from an extensive loss of revenue and earning capacity because of the damage to the fishing industry on which their livelihoods depend. Kimberly and Do Nguyen and the putative class seek economic, compensatory and punitive damages. 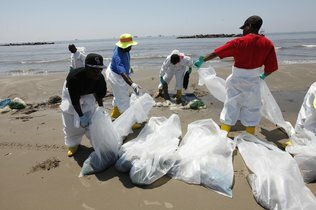 In an effort to compensate those economically harmed by the Gulf oil spill’s damage and hold accountable those responsible for causing the oil spill, the lawsuit alleges that the defendants are responsible, all or in part, for negligence, private nuisance, public nuisance, strict liability for product defect and strict liability for abnormally dangerous and ultra hazardous activities. The defendants named in the lawsuit are: BP p.l.c. ; BP America Inc.; BP Products North America Inc.; BP American Production Company; BP Exploration & Production Inc; Anadarko Petroleum Corporation; Moex Offshore 2007 LLC; Transcocean Ltd.; Transocean Deepwater Inc.; Transocean Offshore Deepwater Drilling Inc.; Transocean Holdings LLC; Triton Asset Leasing GmbH; Halliburton Energy Services Inc.; Cameron International Corporation f/k/a Cooper Cameron Corporation; M-I LLC; Weatherford International Ltd; and other people, companies and/or corporations whose identities are not yet known. For more information about the oil spill lawsuit or to join the putative class action, contact attorney George W. Schmidt, II (MS) at 601.325.1219 or schmidtlawfirmpa@gmail.com. About Schmidt Law Firm, P.A. 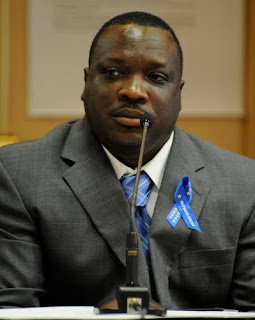 George Schmidt, II has18 years of trial experience in state and federal courts representing the people of Mississippi. Schmidt Law Firm, located in Hattiesburg, represents individuals seriously injured through the negligence of others, including defective products and drugs, oil field accidents, consumer fraud, insurance bad faith cases and toxic torts. Schmidt is a member of the Mississippi Municipal Judges Association, Mississippi Bar, the American Bar Association, the Mississippi Association for Justice and the Lamar Order. Additional information about Schmidt Law Firm, P.A. can be obtained by contacting the Mississippi Bar Association at: 601-948-2344. Co-counsel Motley Rice LLC is located at 28 Bridgeside Blvd, Mt. Pleasant, SC 29464. AAEA has not conducted an in-depth analysis of the environmental justice issues related to the proposed construction of two new nuclear units at Plant Vogtle, left, but our preliminary observation is that the economic impacts and disproportionate industrial site issues have merit. 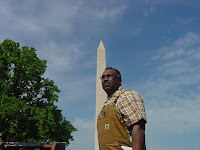 Clearly the operation of Plant Vogtle has not led to economic advancement for the Blacks in the City of Waynesboro or in Burke, County Georgia. The county is 51% Black and 47% White. The racial makeup of the city is 63% African American, 36% White. The question is: how much responsibility does the Southern Company have for economic development and employment in the City of Waynesboro and Burke County in general and to the black communities in particular? The unemployment rate in Waynesboro and Burke County is 11.5% and the median income is $32,000. Our guess is that the Black unemployment, if it mirrors the national trend, hovers around 17%. According to the Burke County tax commissioner, property taxes from Plant Vogtle account for 77 percent ($22 million last year) of all property taxes in the county. That percentage is expected to rise with the addition of the two new reactors. We doubt the health, safety and pollution claims by opponents of the current plant because studies have proved otherwise at commercial nuclear power plants all over the country. Although nuclear power plants have air, water and RCRA permits, they do not generally pose health, safety or pollution threats. However, they have pollution permits and add to the overall impacts in the area. And that is where environmental injustice could be triggered. The nearby Savannah River site is acknowledged by everyone as being a highly polluted site. Billions are committed to its cleanup. The Vogtle Electric Generating Plant, located near Waynesboro in eastern Georgia near the South Carolina border, is jointly owned by Southern Company subsidiary Georgia Power (45.7%), Oglethorpe Power Corporation (30%), Municipal Electric Authority of Georgia (22.7%) and Dalton Utilities (1.6%). An Early Site Permit (ESP) was issued to Georgia Power by the Nuclear Regulatory Commission (NRC) in August 2009. Georgia Power’s application for a construction and operating license (COL) is currently being considered by the NRC. The reactor design is the Westinghouse AP1000. Georgia Power has receive an $8.3 billion loan guarantee from the U.S. Department of Energy for construction of the plant. Reverend Charles Utley of Hyde Park in Augusta has pointed out the continued poverty in Burke County after the construction boom that accompanied the first two Vogtle reactors. Considering that Georgia Power has to come up with about $14 billion to build the plant and the NRC charges almost $100 million just to get the license to operate the plant, no wonder monies are not available for additional economic development projects. Yet, with so much money being spent, it would seem that more funds could be directed to economic development in the area. Without it, environmental injustice via disproportionate impacts becomes an issue that should be seriously considered. The American Association of Blacks in Energy (AABE) hosted its 33rd annual conference May 18-21 in Columbus, Ohio. The conference attracted energy professionals from around the country and from every sector of the energy industry. The conference promotes professional development, sharing industry information, and networking opportunities. The conference featured chief executives from a number of the nation’s largest energy companies, offered sessions for entrepreneurs and featured smart grid technology, among many other exciting topics. This year’s theme, “People, Profit, Planet: An Inclusive Approach to a Bright, Reliable Energy Future,” examined how the industry must balance the needs of consumers and the environment in the emerging green economy. AAEA President Norris McDonald was a panelist at the conference. The panel title was "Environmental Compliance and Costs." The session evaluated the realized costs incurred by the private sector in complying with federal environmental regulation. The discussion covered the pros and cons of existing approaches to compliance and cost estimation. Panelists outlined new methodologies (either streamlined or more comprehensive) and discussed potential impacts associated with using these approaches in practice. McDonald is pictured below with AABE President & CEO Frank Stewart and AABE Chairwoman Carolyn Green. The Green Movement Panel: Solutions for the New Green Economy:Where Do You Fit In? Thursday, May 20: Enviornmental Compliance and Costs, U.S. and International Climate Change Strategies, Affordability Concerns for Vulnerable Communities, Green Living: Implementing Energy Efficiency and Sustainability, Chief Executive Rountable, Legislative Crossfire Panel, The Best Practices in Leadership Development: Developing Players in Winners, Professional Advocacy: When Technical Skills, Experience and Knowledge is Not Enough, Entrepreneurs Forum: change You Can Profit From, Outlook for Oil, Natural Gas and Alternative Fuels, Electric Power Generation and Renewables. Friday, May 21: Young Professionals Forum, From Educating to Recruiting: A Comprehensive Approach to Creating Talent Pipelines, Green Energy Job Opportunities, Rate Case and Investment Recovery, Capital Financing for Energy Related Businesses, Community Outreach Workshop, Green Energy: Strategies, Solutions and Investment Opportunities Workshop, Smart Grid: What Does It Mean to Me?, Pre-Gala Reception and Walking the Green Carpet . Speakers confirmed include: Vernon Jordon, Rev. Jesse Jackson, Congresswoman Sheila Jackson Lee, Children’s' Defense Fund President Marian Wright Edelman, Rev. Al Sharpton, U.S. Education Secretary Arne Duncan and more. Among the invited speakers are President Barack Obama, NAACP President Ben Jealous, Stevie Wonder, Dr. Bill Cosby, and White House advisor Valerie Jarrett. This four-day event will feature power-packed plenary sessions, workshops, and The N.U.L. Experience -- a Career Fair with over 100 companies, a College Fair, an Expo Hall with hundreds of exhibitors, and an interactive, multimedia, 3,000 sq-foot Centennial Empowerment Exhibit showcasing the organization’s rich history and legacy. The conference will present informative workshops that will help attendees navigate through these economic times. Workshop topics include entrepreneurship, the new Green Economy, personal finance, employment, education and healthcare. The exhibits of the N.U.L. Experience and the Centennial Empowerment Exhibit are free and open to the public. For more information and how to register for the 2010 National Urban League Centennial Conference contact the National Urban League at (212) 558-5300. 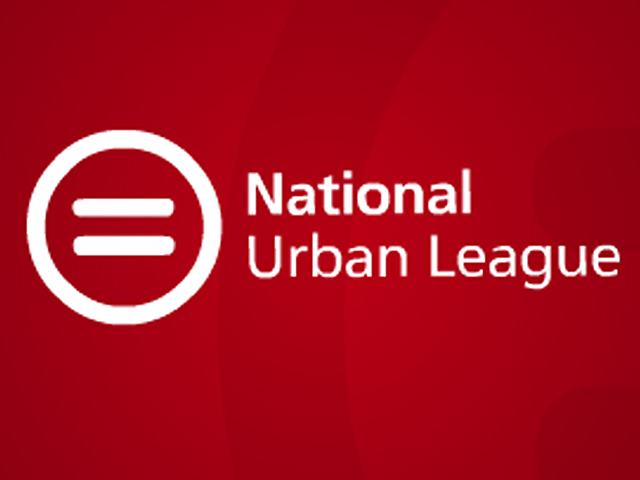 The National Urban League is a historic civil rights organization dedicated to economic empowerment in order to elevate the standard of living in historically underserved urban communities. 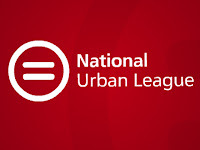 Founded in 1910 and headquartered in New York City, the National Urban League spearheads the efforts of its local affiliates through the development of programs, public policy research and advocacy. Today, there are more than 100 local affiliates in 36 states and the District of Columbia, providing direct services that impact and improve the lives of more than 2 million people nationwide. The Fourth Annual State of Environmental Justice in America 2010 Conference was a great success. This annual conference embodies the hopes and dreams of community activists and government agencies in terms of providing a consistent venue for addressing national environmental justice issues. The environmental justice movement longed for such an annual gathering and now it is an institution. AAEA conducted a session at the State of Environmental Justice in America 2010 Conference entitled, "The Defense Department, Environmental Justice and Climate Change." Panelists included John McCormick, President, Energy Policy Center and Norris McDonald represented our parent organization, Center for Environment, Commerce & Energy. McDonald and McCormick described a process that can convert carbon dioxide (CO2) into gasoline. McDonald opened the session by describing how a program called Energy Defense Reservations (EDR) can utiltize funding from the Defense Department to help in building emission free nuclear plants that will reduce air pollution and mitigate global warming. He described that reducing smog in urban areas is a very important environmental justice issue. So is mitigating global warming, which produces even more intensive nonattainment days. A large scale project that reduces emissions mitigates environmental injustice and global warming. The EDR would be a public/private partnership that simultaneously reduces carbon dioxide emissions from utility plants, while providing hydrogen for fuel cells and diesel fuel for military and civilian transportation purposes. EDR would combine the U.S. Department of Defense (DOD), electricity utilities, coal producers and oil companies into consortia that produce electricity from coal and nuclear power, convert carbon dioxide into diesel fuel and gasoline, produce hydrogen, use the separated oxygen for coal-fired oxy-combustion and reprocess/recycle nuclear waste - all in a closed loop system. Ten reservations strategically located around the nation producing 100,000 megawatts of electricity without releasing any greenhouse gases. McCormick proceeded with a technical powerpoint presentation that described the process in detail. These processes need very high temperatures of about 900 degrees Celsius. Carbon dioxide would be used from the coal plant to make a vehicle fuel while an adjacent nuclear plant would produce hydrogen for fuel cell production and oxygen for the coal plant firebox. The oxygen from the electrolysis would be used in the coal firebox to reduce the volume of emission gases by 80 percent, which represents nitrogen in the air. There will be little to no CO2 emitted from the coal plant because the gas will be used to make vehicle fuel. There will be CO2 released from vehicle use but these emissions would occur anyway from vehicle use. We are still studying the energy penalties and economics for these processes. Today was a very interesting day. It started with attending a presentation entitled, "Fixing the Carbon Problem Without Breaking the Economy," which was delivered by John W. Rowe, Chairman and Chief Executive Officer of the Exelon Corporation, the largest nuclear power company in the world. The presentation was sponsored by Resources for the Future (RFF) and was held at the National Association of Homebuilders Auditorium. Mr. Rowe, pictured at right with me, discussed U.S. legislative and regulatory actions to address climate change, and why we must focus on economic approaches that will provide the country with cleaner, more secure energy while minimizing the costs to consumers and putting more people to work. As the electricity industry’s longest-serving chief executive, Rowe was among the first CEOs in the industry to focus on climate change, first testifying before Congress on the potential effects of carbon emissions in 1992. I then went a few blocks to meet with Dr. Elsie Scott, left, President of the Congressional Black Caucus Foundation (CBCF), at their headquarters office on Massachusetts Avenue. Dr. Scott briefed me on the activities and priorities of CBCF and I described the various programs of the Center. Dr. Scott joined CBCF in 2007. The Congressional Black Caucus Foundation, Inc. (CBCF) is a nonprofit, nonpartisan public policy, research and educational institute that aims to help improve the socioeconomic circumstances of African Americans and other underserved communities. CBCF’s influence extends to African-American intellectuals and others focused on policy and legislative issues. Each September, thousands of elected officials and industry leaders, celebrities, media, emerging leaders and everyday Americans come to Washington, D.C., for the organization’s Annual Legislative Conference (ALC). The conference features participation by the Congressional Black Caucus and includes dozens of policy forums, general sessions, exhibits, a job fair, book signings and vast networking opportunities. CBCF and the Congressional Black Caucus Spouses also sponsor an annual golf and tennis classic that raises hundreds of thousands of dollars for educational and training opportunities for high school and college students. Next I participated in the the grand opening session of the Fourth Annual State of Environmental Justice In America 2010 Conference at the Howard University School of Law was a huge success. A great crowd braved rain showers to listen to presentations and ask questions in the Moot Court Room. I am pictured at left with Dru Ealons, Special Assistant, Office of Public Engagement, EPA and Stephanie Owens, Director, Office of Public Outreach, EPA. I am pictured at right with Quentin Pair, Environmental Justice Director, U.S. Justice Department. The session featured a moderated environmental justice conversation that discussed the application of fair treatment and meaningful involvement from different interests and perspectives. It addressed questions such as: How can environmental justice and economic development co-exist? How can we improve relations between communities and industry, communities and government, and government and industry? What are examples of model environmental justice activities? Are the Federal agencies committed to implementing the Executive Order? Is business and industry committed to environmental justice? What are the most significant environmental justice issues facing the country? Finally, I attended The Washingtonian 3rd Annual Green Awards, which honored those who preserve and protect our environment and teaches the virtues of living green. Green DMV was one of the honorees. Rhon Hayes and Philip O'Neal, left, accepted the award on behalf of Green DMV. I am on the advisory board. The awards ceremony was held at the Blue Ridge Restaurant and other honorees included: Tracy Bowen, Founder, Alice Ferguson Foundation, Seth Goldman, Found, Honest Tea and Bethesda Green, Chris Johns, Editor-in-Chief, National Geographic magazine and Cate Magennis Wyatt, Founder and Executive Director, Journey Through Hallowed Ground. Damu Smith died on May 5, 2006. He was a dynamic environmental advocate. Everybody in the environmental community has some memory of this dynamic brother. Damu was universal. Damu gave Greenpeace 'cred.' Damu inspired the environmental justice community. Damu inspired the peace community. Damu inspired the religious community. In short, Damu was an inspiration. Easy going and rarely confrontation in personal interactions, he was dynamically confrontation for the causes he believed in. Damu's illness was first revealed by The Washington Post, which reported on his collapse while working for peace in Israel. Although that newspaper never covered Damu in his life, they did cover his death. Their loss. Damu Smith loved to speak and was a great speaker. He loved helping low-income and other disadvantaged people. Damu fought for years to protect people in Cancer Alley in Louisiana from additional pollution. He founded and ran Black Voices for Peace and the National Black Environmental Justice Network. We will never forget you Damu. You were the coolest cat in the environmental justice movement. Hearing entitled, "Oversight Hearing: Nuclear Regulatory Commission." Senator Thomas R. Carper (D-DE), Chairman of the Subcommittee on Clean Air and Nuclear Safety of the Senate Environment and Public Works Committee, held an oversight hearing to examine the Nuclear Regulatory Commission’s (NRC) guidelines and processes for licensing new reactors and regulating the current nuclear fleet. AAEA President Norris McDonald and AAEA Vice President Derry Bigby attended the hearing and engaged NRC commissioners after the hearing. AAEA supported the nominations of Bill Magwood and George Apostolakis. The Center is delighted to report that both commissioners are friendly and approachable. This is important to stakeholders interested in providing input on nuclear power issues that are of interest to the NRC and the general public.